The law intern, who had leveled grave allegations against Justice A.K. Ganguly, has so far refused to join the investigation, and hence, the Home Ministry has been informed by the Delhi Police that no case can be recorded against the former Supreme Court judge. The Police reportedly submitted that inspite of repeated requests, the woman complainant has not joined the enquiry and hence no further enquiry into the incident of alleged unwelcome behaviour of the former Supreme Court Judge was possible, adding that in case she comes forward to join the inquiry, suitable action will be taken in the matter. Speculations regarding the truth of the allegations have already started brewing, with Swamy, tweeting "...So Justice Ganguly falsely defamed for his 2G Order?” When Live Law asked about his reactions over the intern unwilling to join investigation, Justice Ganguly refrained from commenting, stating that he has nothing new to say apart from what he has already said. He had earlier asserted that, "I have not done anything to feel ashamed of. The allegations were made by the intern 11 months after the incident. This was organised to defame me. The West Bengal government was very uncomfortable with me as the WBHRC Chief." However, leading lawyer and human rights activist, Vrinda Grover feels that Swamy’s view has no relevance. Speaking to Live Law she said, “He is abusing his position in BJP to give a political colour to a very important issue of women's rights and specially women lawyers. The Ministry was also informed that the “available material” in the public domain wasn’t sufficient to take up sou motu cognizance of the case against the former judge, in order to follow the procedure as laid down under Section 154 of the CrPC. Section 154 Criminal Procedure Code which deals with the information in cognisable cases states: "Every information relating to the commission of a cognizable offence, if given orally to an officer in charge of a police station, shall be reduced to writing by him or under his direction, and be read over to the informant; and every such information, whether given in writing or reduced to writing as aforesaid, shall be signed by the person giving it…" (Emphasis added). Hence, it is crucial to such an investigation that the informant (in this case the law intern) is willing and consenting to initiate police investigation, a course that she wasn't interested in following, as made unambiguously clear through her blog article. Ever since the allegations of ‘unwelcome sexual advances’ were made by a law intern against Justice A K Ganguly, the case of one of the most scandalous incidents in the history of judiciary is seemingly getting more complex by the day. 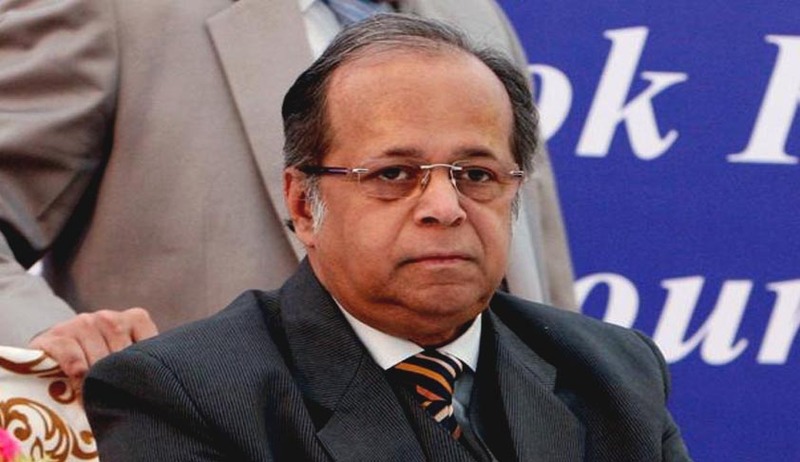 Justice Ganguly had to resign as the West Bengal Human Rights Commission chief after the former law intern's allegations. As the allegations came to fore last year, the Supreme Court had formed a three-judge committee, which had held that that the statement of the intern, both written and oral, had prima facie disclosed "an act of unwelcome behaviour (unwelcome verbal/non-verbal conduct of sexual nature)" by the judge with her in a hotel room in Delhi on December 24, 2012. The intern, without naming the judge, had the given information to the committee comprising Justices R.M. Lodha, H.L. Dattu and Ms. Ranjana Desai during her two-hour deposition at the Supreme Court premises. When confronted by the committee about the reason for her highlighting the alleged sexual harassment incident involving the judge concerned in her blog, she is reported to have told the panel members that her intention was to inform the public that such things do happen in high places. She made it clear to the panel that she was not inclined to take up the matter legally; and that her intention was to create awareness. Read more news about the case here.